This morning I arrived at Olveston in time to see the start of the Mainland Classic Autumn Colours Outing. There was a great turnout of cars and people. 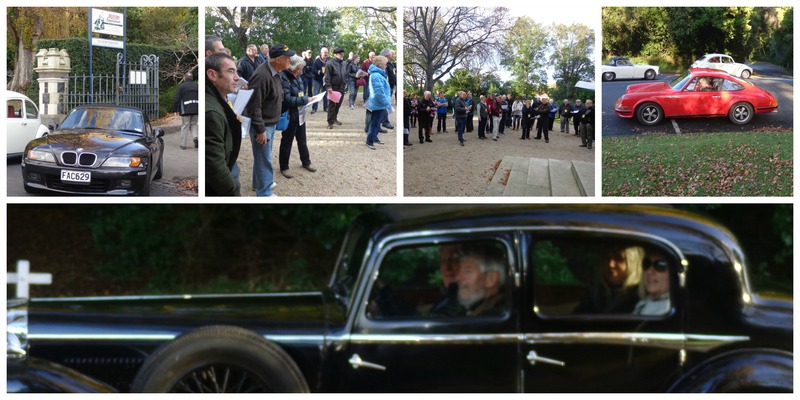 They were motoring through to Arrowtown with a morning tea stop at the Mill House, lunch at the Ladybird Hill Cafe, Restaurant and Winery at Omarama, then continuing on to Arrowtown via Wanaka. It’s a leisurely drive with stops at points of interest along the way. Tomorrow morning they’re driving through to Cromwell for lunch in the old town at The Victorian Arms and then everyone goes their own way homewards. I took a few photos before and as they were setting off and captured a group photo on other people’s cameras. Jeremy has gone on the trip so look out for more photos on the Olveston facebook page next week. When the last car had been flagged away I headed back to the house, climbed the stairs to my room and settled down for a morning of writing. I don’t have the internet in my room which is wonderful, I’m distraction free. 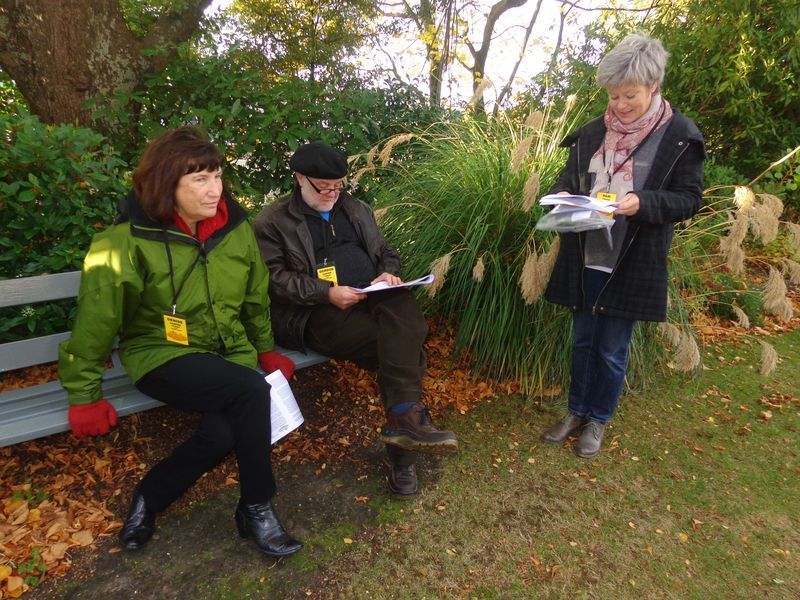 When I feel like a stretch or a break I’ll go for a garden wander, a room wander, or pop into the staffroom for a chat with the guides between tours. 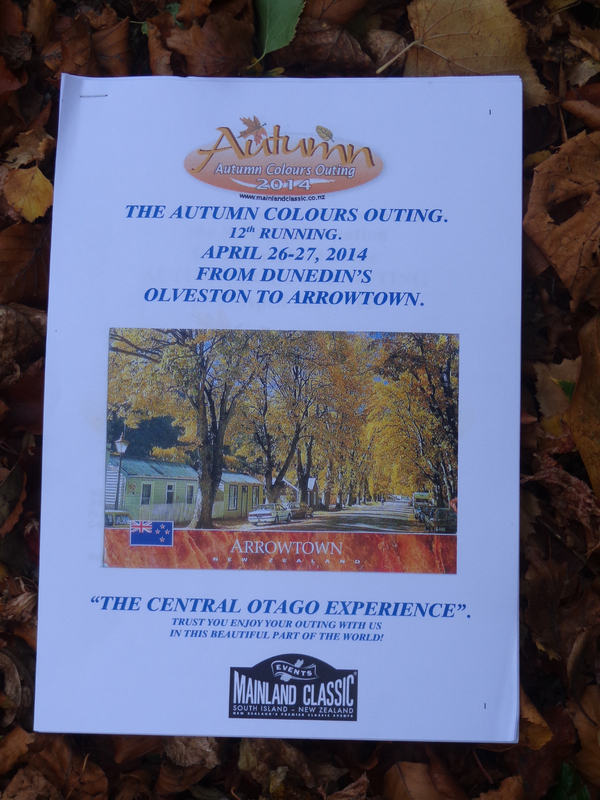 This entry was posted in Art, Poetry and tagged Mainland Classic Autumn Colours Outing, Olveston. Bookmark the permalink.